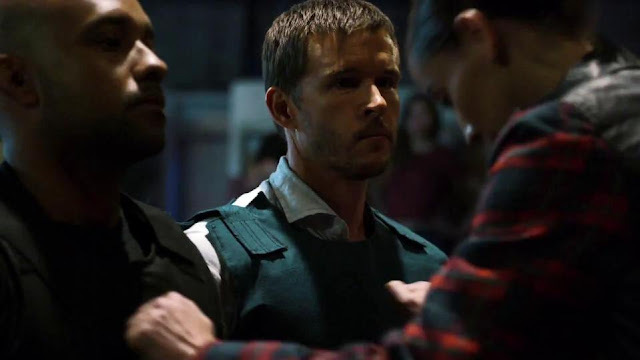 Television’s “True Blood” star Ryan Kwanten stars in his latest action movie “Blunt Force Trauma” with Freida Pinto and the iconic Mickey Rourke in a story following John (Kwanten), an underground gunslinger looking for his ultimate duel with legendary Zorringer (Rourke) along with Colt (Pinto) who is seeking revenge for the death of her brother. From his recent interviews about “Blunt Force Trauma,” Kwanten further explains the nature of the film. “For me, it’s a modern day representation of one those existentialist road trip movies and it was such a nice departure to play a very iconic 70s style man. It really appealed because I feel like the modern day man has sort of been sugar coated a little too much. He's lost a little of his robustness, I guess we could say. Getting back to the story of it all, my character John is a gun slinger on a journey to track down the greatest gun slinger of all time - Zorringer (Mickey Rourke) - and on the way to this meeting, he runs into Freida Pinto’s character, Colt, and they forge this bond. Opening this December 9 exclusively at Ayala Malls Cinemas, “Blunt Force Trauma” is from OctoArts Films International.